Bentley has had a rough past 12 months or so, described by CEO Adrian Hallmark as "a perfect storm” of situations leading to financial loss. Fortunately, the UK-based luxury automaker has a good team in place to fight its way out of the storm with a recovery plan that’s already underway. And part of the plan involves several new and redesigned models, including the long-awaited EV. Question is, what body style will be chosen? Furthermore, will Bentley opt to electrify an existing model or build something new from scratch? Autocar reports this has yet to be decided. What’s been rumored so far is an SUV smaller than the Bentayga, which would make sense for a few reasons. 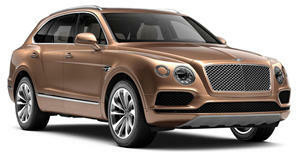 First off, because Bentley is part of the Volkswagen Group, it has access to a number of platforms. Audi, for example, confirmed it will unveil its Q4 e-tron EV concept next month at Geneva. It will preview the production version that’s slated to arrive in late 2020 or early 2021. Bentley could easily utilize that platform for its own needs. Then again, yet another all-electric crossover could be rather boring. We don’t think we’re alone on this. Bentley could instead go bold and electrify one of its existing models with all of the necessary hardware. 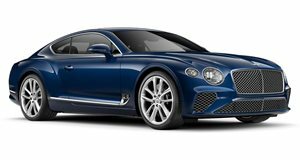 If deemed technically feasible, why not the new Continental GT grand tourer? Alternatively, there’s the new electric vehicle platform underpinning the Porsche Taycan and Audi e-tron GT. Why not begin a future all-electric lineup with a stunning four-door coupe or heck, a traditional coupe. There are several possibilities at Bentley’s disposal. The final decision will come down to a few factors, including the sales status of the existing lineup. If sales are meeting if not beating expectations, then Bentley could afford to do a less conventional EV. But if market forces dictate yet another crossover is needed, then Bentley also has the tools to make that happen. There’s also an old rumor claiming the carmaker was interested in turning 2015’s EXP 10 Speed 6 concept into a production EV. We wouldn’t have any problem with that. In any case, Bentley will need to decide fairly soon because the plan is to have that EV on sale no later than 2025.